A Little Hut - Patricia Zapata: Experiment - done! 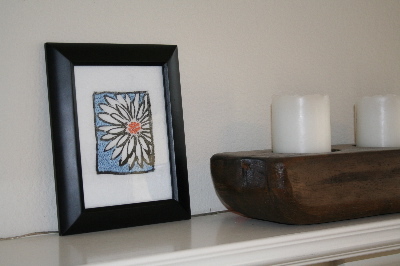 So here are the results of me combining a little bit of embroidery and a block print. I'm no embroidery expert by any means so I'm really happy with the way this turned out. This gives me an incentive to try something a little more involved. I think this project was a lot of fun because I really didn't plan it much. The idea popped into my head and I just went for it. When I do the oppposite (trying too hard) things just don't work out. 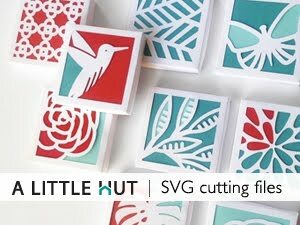 BTW I just posted a very cool interview with Lisa Congdon over at Crafty Synergy. Oh...and lately I'm addicted to this!!! Addicted I tell you. Oooh very cute! I love it! very, very cute. i love it all framed up! I love it, Patricia. It's so pretty! That is awesome, it came out great! This is a great idea! So simple and beautiful. And, ironically, it combines two things that I've recently bought all the stuff to work on, but haven't actually had time to do!!! I bought some stuff to bulk up my supply of print-making materials so that I could work on trying linoleum prints again. 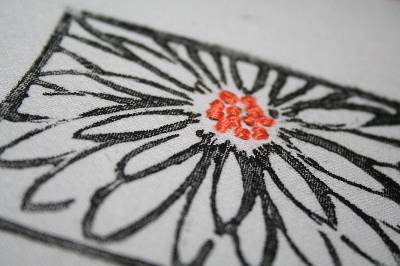 AND I've been trying to teach myself how to embroider because I think it could really be fun & funky if done right. Mary - I can't wait to see what you come up with! What a cool idea! Looks great, I hope you do more of them. ok, now i am on a roll with your blog. 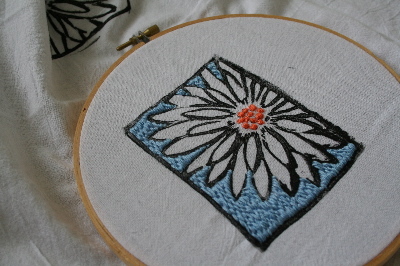 i just discovered it this evening and i love what you are doing with embroidery. i may just have to try this some time soon. that is after the holidays. great work i love this one.